There are nearly 720 acres of fishable water within Lake Toxaway Estates all of which can be classified as prime fisheries. The two lakes plus the Children’s Pond contain multiple species of fish, most of which are considered quite tasty. As of 2017 most resident licenses will cost in the area of $20.00 and, may go as low as $7.00. Non-resident licenses range from $38.00 for an annual license down to $18.00 for a ten day license. Fishing without a license is poaching. Poachers will incur a fine and your their fishing gear will be confiscated. 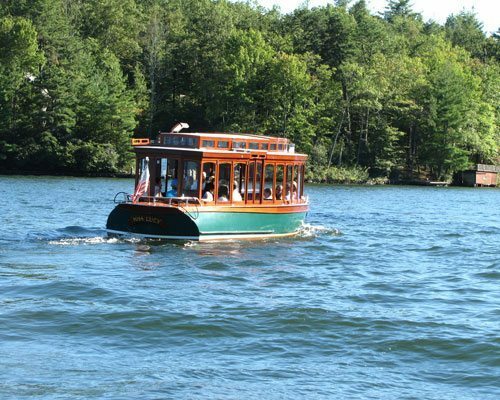 Lake Toxaway: The lake’s 640 acres contain both large and small mouth bass, walleye, rainbow, brown, a few wild brook trout, bluegill plus, some monster catfish. The LTCA has contracted with the award winning Davidson River Outfitters to be the exclusive guiding service on Lake Toxaway. 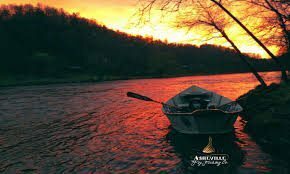 Additionally, those wishing to fly-fish locally in the Pisgah Forest, Smoky Mountain National Park or, any of Western NCs 1000+ miles of fishable streams should also contact Davidson River Outfitters at 828-877-4181. Lake Cardinal: The entire perimiter of Lake Cardinal consists of private property. As such, the lake may be accessed from a residents dock only. Access via the dam is strictly prohibited. Lake C is the home to large and small mouth bass, rainbow trout and bluegill. 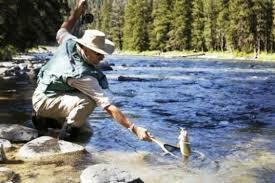 Due to the lack of two legged two leg preditors these fish have become quite catchable and often quite large. We suggest you butter up an Lake C property owner and … a frying pan. The Children’s Pond: Located on Toxaway Drive half-way up the mountain towards Medow Ridge, The Children’s Pond is stocked and maintained specifically but, not exclusively for the enjoyment of LT’s younger set. 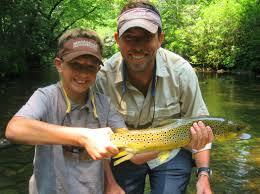 Children fourteen and under are permitted to catch and keep up to four fish per day. Those over fourteen are required to adhere to our ‘Catch and Release’ requirements. The pond is stocked just prior to Memorial Day weekend with several hundred pounds of rainbow trout. In addition the pond is host to largemouth bass and bluegill. Experienced parents and grandparents have reported that niblets of corn and worms are the baits of choice. The latter may be purchased at either the Trading Post or McNeeley’s. Otters: Please be on the lookout for otters in the Children’s Pond and, if you see any please report them to the POA office: 828-966-9453. Otters kill fish not only for food but also the fun of the chase. One otter alone may kill as many as fifteen fish per day. Please take the time to report any otter sightings. Toxaway River: Those hiking the Toxaway Trail willross over a small stream which is actually the headwater of the Toxaway River. 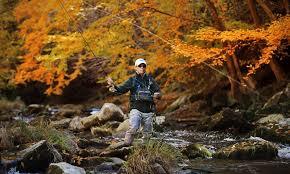 It is the environmentally fragil home of small, wild rainbow trout. These fish have a tough life trying to eek out an existance in a stream nearly devoid of entomoligical life, bugs to eat. 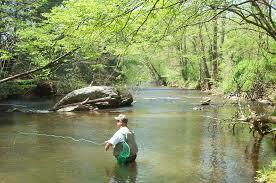 If there is a fish as large as seven inches in this section of the stream would be considered a whopper. Although North Carolina regulations permit fishing in the stream, we request that those who do, do so with single hook lures or flies only. To be honest, these fish are more fun to observe than catch. Visitors interested in casting a line may also want to visit www.ncwildlife.org for information on permits, licensing and further information on North Carolina’s aquatic life.